In the upcoming few weeks, I'll be visiting the following concerts. Pictures will be uploaded soon after the gigs, so don't forget to come back! Meshuggah, Decapitated on December 4, 2012 at the Komplex 457, Zurich (CH). More information at Abart. Marilyn Manson, Rob Zombie on December 11, 2012 at the St. Jakobshalle, Basel (CH). More information at Starklick. Obituary, Psycroptic, Macabre on December 12, 2012 at the Schüür, Lucerne (CH). More information at Schüür. Kreator, Morbid Angel, Nile on December 18, 2012 at the Komplex 457, Zurich (CH). More information at Starclick. 11-09-2012 - 10 YEARS OF METALPICS.EU! Happy 10th birthday Metalpics!! Canonizing since 2001, Metalpics went online in the early morning hours of 11th of September 2002 after a long night of, well lets call it webdesign. 598 bands, 35452 pictures, 1776227 visitors and a (desperately needed) redesign later, we're looking at an eventful, fun, entertaining and sometimes also stressful past. Nevertheless, it has been a great time! I hope that during those years you found some pleasure in the pictures and that you'll still be dropping by every now and then in the upcoming years. Thank you for your support and up the horns!!! This year, Metalpics is joining three festivals in central Europe. Already for the 11th time, I'll be covering the Summer Breeze. As the last years, I'll be taking pictures for their main sponsor EMP, not only of the bands, but also of the fans and the camping area. So wave those flags, stick the stickers and my camera might find you. :) Three more festivals are planed for Summer 2012, the Metalfest and Extremefest, both taking place at the Swiss metal mecca, the Z7 and the Earshaker Day in Basle. Metalfest: Death Angel, Legion Of The Damned, Behemoth and Blind Guardian are just a few of the over 30 bands that will be performing at this year's Metalfest Switzerland on one indoor and one outdoor stage on June 7-10. Check out the details at the Metalfest or the Z7 website. Earshaker Day: Machine Head, Lamb Of God, Killswitch Engage, Ugly Kid Joe and 20 other bands will rock three indoor stages at the St. Jakobshalle in Basle (Switzerland) on June 23, 2012. Unlimited metal pleasure on one day!! Check out the details at the Earshaker Day website . Extremefest: Nasum, Suffocation, Exodus and over 40 other bands will be blasting the Z7 on July 5-7, 2012. Check out the details at the Extremefest or the Z7 website. Summer Breeze: As the last years, I'll be covering the Summer Breeze for their main sponsor EMP. Pictures of bands, fans and the tent area will be published here as well as on EMP's Facebook page. Don't miss over 80 bands and an amazing atmosphere on August 16-18, 2012. Check out the details at Summer Breeze. 13-04-2011 - Summer's in the air! Tuska Festival: After attracting 33.000 fans in three days, the 13th Tuska Festival marked an end of an era in 2010: This year the festival will move to a new location, the Suvilahti. Being just a couple of kilometres from the previous location the Kaisaniemi, Tuska will remain a metal festival in the centre of Helsinki. In 2011, Tuska Festival offers over 40 bands such as At The Gates, Amorphis, Blind Guardian and Devin Townsend Project on July 22-24, 2011. Also, keep an eye on the line-up of the infamous after show parties across the city! For further information please visit Tuska-Festival.fi. Brutal Assault: This year, the Brutal Assault is celebrating its 15th anniversary. The festival will take place inside the old army fortress in Josefov, approximately 130 km from Prague. The unique atmosphere and history of the fortress are an integral part of the festival’s image and provide a unique experience for the festival visitors. In 2011, the festival with a capacity of 15.000 will present over 50 bands such as Triptykon, Sepultura, Motörhead and Morbid Angel on August 11-13, 2011. Visit BrutalAssault.cz for more information about tickets, bands, camping, accommodation and other important things. Summer Breeze: This year, the Summer Breeze Open Air is going into its 14th round and Metalpics is joining for the 10th time in row! Blowing in beautiful Dinkelsbuehl, Germany the metallic breeze will take place August 18-20, 2011. Over 80 bands will perform alternatively on two stages as well as on a party stage in a tent. Enjoy the summer breeze with performers such as Bolt Thrower, Hammerfall, In Extremo and The Haunted on August 18-20, 2011. For more information, please visit Summer-Breeze.de. We're proud to announce that Shelley will attend the Sonisphere festival in Switzerland as the official photographer of the event, which will include live pictures as well as documentation of the whole festival. 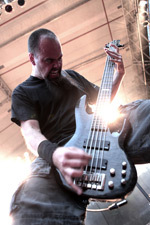 Sonisphere Switzerland is taking place on June 17th and 18th 2010 in Jonschwil.For more information check out http://sz.sonispherefestivals.com.